In addition to full service design work, GSB, Inc. frequently serves as Architect in adapting and delivering standard prototype hotels such as Hilton Worldwide, IHG InterContinental Hotels Group, Marriott International, Inc. and Choice Hotels International. Located across the country, these projects are typically 3-5 story structures with 58-120 guestrooms. GSB, Inc. works directly with clients throughout the process including land planning, developing construction documents, obtaining hotel brand approvals, bidding to a select list of general contractors and providing construction administration duties through to final acceptance by all parties. 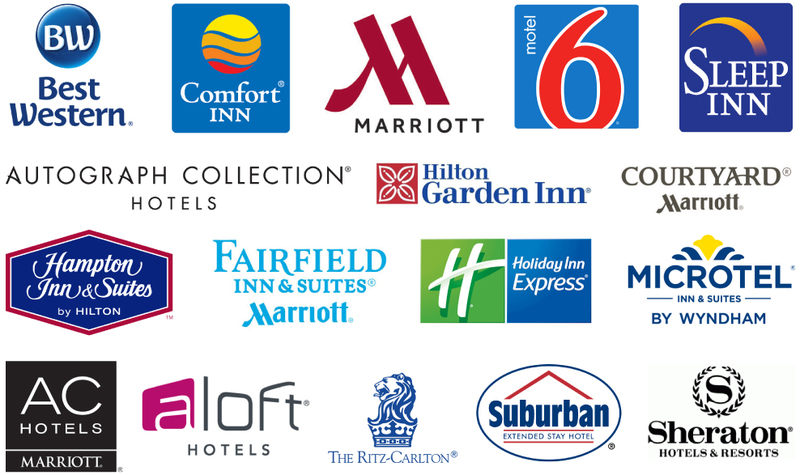 GSB, Inc. has worked with most major hotel brands.